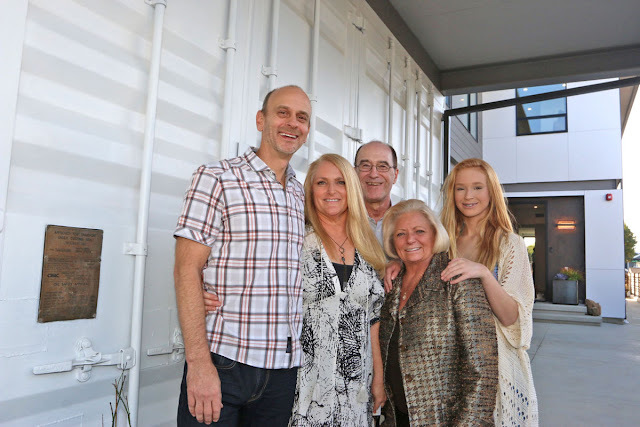 When Paula Dowd and family decided to build a new shipping container duplex house on their property in South Redondo they wanted to do more than just build a home. They wanted to create something that represented the change they wished to see in the world. For the Dowd's, that change meant deciding to build with an alternative to wood-framed construction. So they went with shipping containers. 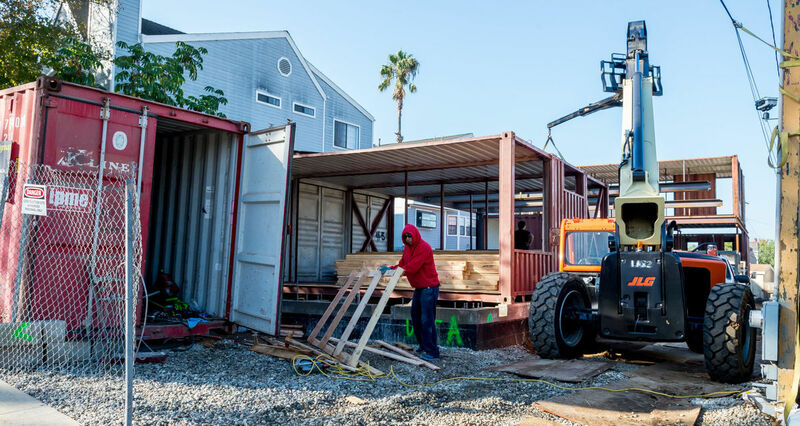 The shipping container duplex house, in the 200 block of South Lucia Avenue, consists of 14 used containers as the main structural component. Each container, purchased from a company in the Port of Los Angeles, was welded together with holes carved out precisely for windows and doors. Dowd's home — which has been nicknamed the Lucia Container Home and is actually two homes on one 6,000 square-foot lot. Each home, at 2,100 square feet and 2,300 square feet respectively, has three bedrooms and two and a half baths. The back house also have an office. 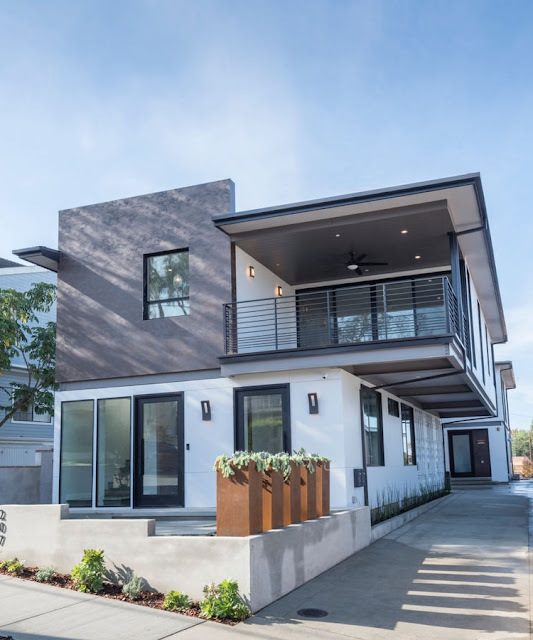 This weekend, the family celebrated the completion of the project with an open house, inviting friends and neighbors over to see the unique creation and learn more about sustainable building practices. The Dowd family duplex, which will be shared with Dowd's mother in the front house, is the second home in Redondo Beach built with reused shipping containers. 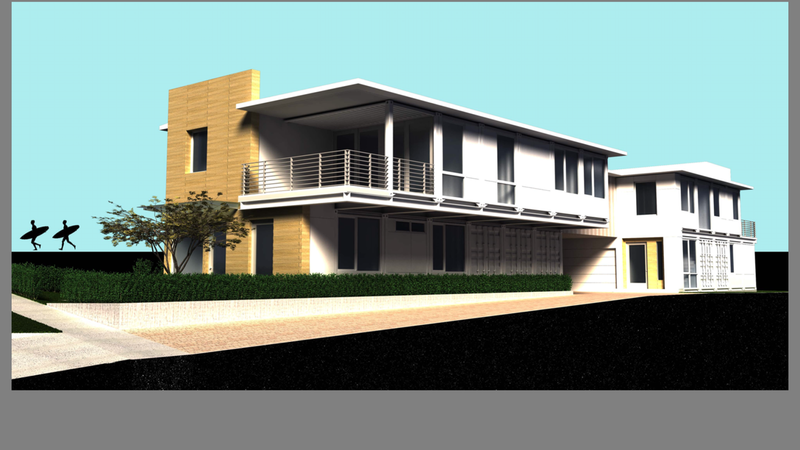 The first was built in North Redondo in 2005 and designed by the same architect, Peter DeMaria. 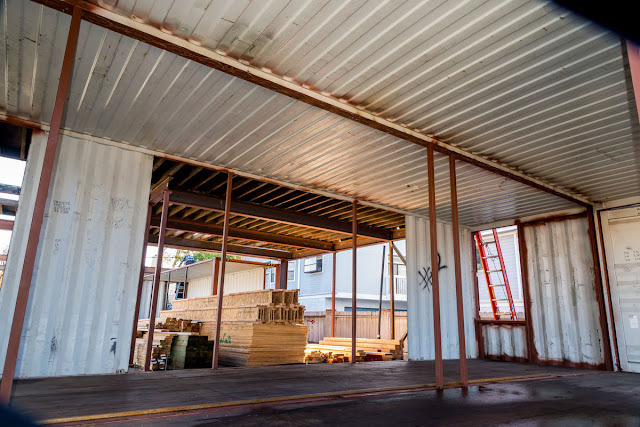 By choosing to use shipping containers, owners save roughly 30 percent off traditional wood framing, although sustainable fixtures and home decor often drive up the price. More importantly, what the Dowd's got from choosing the alternative method was peace of mind, they said. "As we all have become more educated to the perils of our planet, we as a family just try to do what we can,” said Dowd, who’s driven a Prius since 1996 but doesn’t consider herself a “radical” environmentalist. Although the city of Redondo Beach dealt with a container home roughly a decade ago, Dowd said the permitting process for new shipping container duplex house was a considerable hassle she hopes future home builders won't have to experience. “Hopefully what we've learned here is going to be a stepping stone for people who are interested, because I think we solved a lot of problems,” Dowd said. 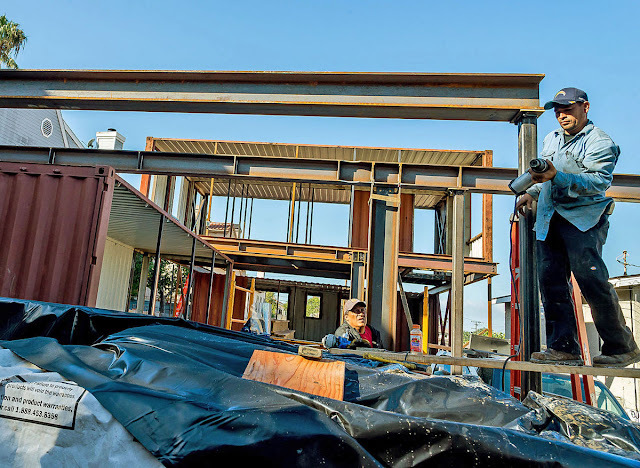 Contractor Rudy Perez with Obed Group, who previously built one other container home, said without the experience he learned on the first project, building with containers can pose problems for the average home builder. “If you're not familiar with the details it could cause a lot of grief to a contractor,” he said. Wood framing is forgiving. If you cut a window too small or large, you can always change it. But with steel construction, you don’t have that luxury, he said. For DeMaria, the evolution toward building with containers began more than 10 years ago when he took a sabbatical from his architecture career to study sustainable building practices. He struck upon containers as a building material and hasn’t looked back. DeMaria, who now he teaches at University of Texas in Austin, is currently in the process of building his eighth container home. Throughout the country, container home construction is catching on as a sustainable building trend. Projects vary from those that still largely resemble shipping containers from the outside, to homes like the Dowd’s where the container features are subtly revealed. Walk down the driveway and you’ll see the door latches to the containers that make up the garage. Walk up the steps and you’ll see a few exposed steel beams. The home is also fitted for solar panels, though they have not been installed yet. And it will also include a Tesla home battery. All other building materials such as fixtures, tiles, drywall and insulation were also chosen with the environment in mind. The interiors of the homes, meanwhile, are modern and beachy while maximizing natural light. Dowd said the plan is to keep both homes in the family. For now, she and her husband will live in the back house with their two teenage children and Dowd’s mother will reside in the front house. “We're very happy it's done,” Dowd said.